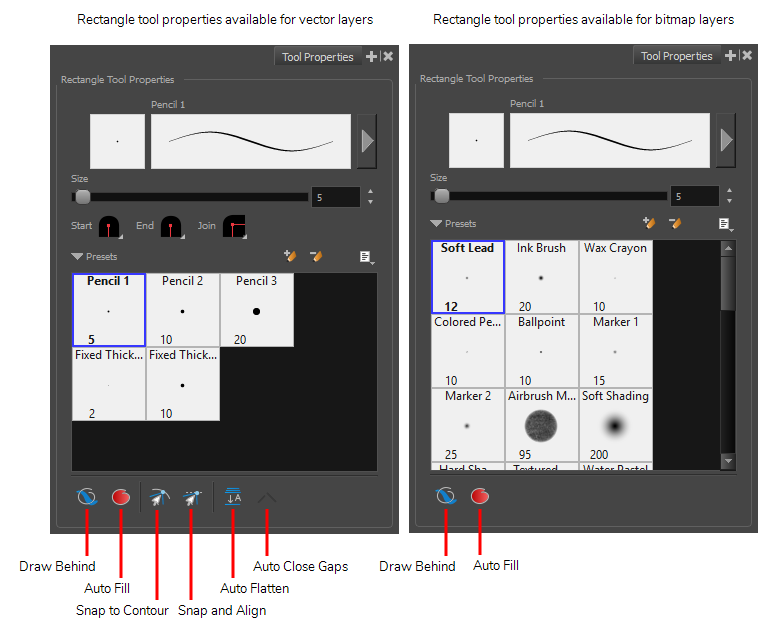 When you select the Rectangle, Ellipse, Polyline or Line tool, the Tool Properties view displays the different modes that control how the shape is drawn. Different modes are available depending on the selected tool and whether the layer is vector or bitmap. 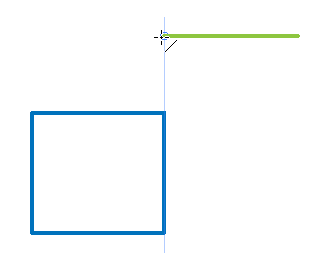 NOTE This option is only available with the Line tool, as the Rectangle and Ellipse tools will always create closed shapes.